This unisex leather and pewter bracelet is truly the stuff of fantasy legend. 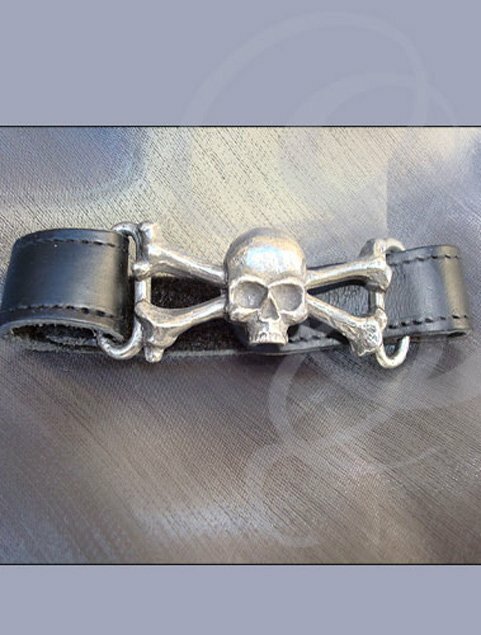 An understated black band of rugged leather, bound by the skeletal pewter remains. The leather strap feeds through the circle and features a hidden velcro connector that allows the bracelet to be adjusted to fit just about any sized wrist. 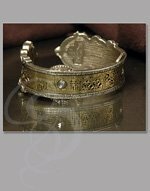 Hand crafted in England, this wrist ornament is a great addition to almost any style. 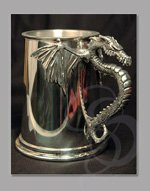 The high quality and low price make this a fantastic gift (for others or yourself). Materials: English Pewter and Leather, with Hidden Velcro Closure. Made in England.